Buying A Car Online - Will This Become The Norm? Buying cars used to be simple. You went down to your local dealership, had a look at the cars, drove a few of them around and then you bought one. Of course, you can still buy a car this way; however, now consumers do as much as possible online before making their final decision. With major technological changes affecting the way we search for products and buy them, let alone the changes they are creating within cars themselves, the way cars are bought is becoming a very different experience altogether. This report aims to look at what these changes are, how they are likely to develop and what consumers can do to take advantage of them. Taking into account the vast changes in technology, concerns about the environment and transport services, this report will help you understand exactly what is happening to online car buying. The biggest change to have hit the online buying of cars is perhaps the most obvious and likely to have an impact on other changes: technology. Buying a car online is no longer a recreation of the forecourt, visiting the showroom on the website and taking your pick. With the vast number of competitors available via increasingly accurate internet searching and social media, consumers are becoming pickier about what they buy and from whom. Options for car personalisation, thousands of online reviews, pictures, test-drives and even virtual reality experiences, consumers can now gather more information about their potential purchase than they have ever before. The growth of comparison websites also means that the buyer can now purchase the best deal out there with just a few swipes of a finger or click of a button, and the revolution of the interactive mobile device in recent years means this process is being sped up and narrowed down even further. In the ‘used car’ market this is particularly the case with more than 20 percent of all searches related to them being conducted on mobile devices (Strategy&). The younger generation (the future generation of car buyers) are particularly connected to the online sphere and social media, something that definitely needs to be kept in mind by dealerships looking to outreach and sell online. By 2020, 40% of new car buyers will be millennials, of which 88% are expected to use the internet to influence their car purchase (BrandWatch). Furthermore, increasing numbers of car manufacturers are now offering customers a bespoke, design and configuration service rather than simple colour choices and tints. Aside from making the buying process even more personal for the consumer, this innovation also means that even more sales could potentially be taken away from standard dealerships and external online car sellers. Yet, if dealerships and independent online car sellers can implement some kind of integrated customisation option, then this could help remedy the potential loss of customers and income from car sales directly to the manufacturers. By creating a combined customisation and configuration tool linking with the manufacturer then dealerships can become a stepping stone in the purchase process rather than a redundant element. Also, by implementing other options, like comparisons with other configurations and creating blogs/social media pages/videos dedicated to the car customisation and configuration, this allows customers to engage in a truly immersive process where they feel completely in control of the car buying service and able to purchase their ideal car. The point is that consumers are increasingly looking to get what they want, when they want with any purchase these days and the car industry is no exception. The consumer has far more power over their purchase and they know it. To deal with this car dealerships need to outreach to social media pages and other mediums like YouTube and comparison websites in order to ‘be seen’ and make sure the consumer knows their product is the best they can possible purchase for the lowest price. In a world as competitive and vast as the digital market, dealers have to stand out more than ever and increase the value and transparency of what they are offering to consumers. However, it’s not just about what is being searched for and how this is affecting car sales technologically. In the past people may have been concerned about engine performance, miles per gallon and millage on used cars. Whilst these are still concerns, and will remain so, new factors are starting to play a huge part in what people are looking for in a car. The technology of a car is the largest growing concern for many consumers now. WiFi capability, semi autonomy, smart device compatibility, in-built satellite navigation, all these previously unheard of car innovations are becoming increasingly relevant and necessary. The increase in technological demand has in turn increased the cost of car production and repair. For OCMs (Original equipment manufacturers) these technological innovations have seen a 20% increase in new parts and components, and these cost often manifest themselves in an increase in the cost of cars themselves (Strategy&). However, the increased digitization of the car industry can actually help meet the demands of these increasing costs and help lower them. Automotive manufacturing plants have seen autonomous vehicle building increase three-fold since the 1990’s, decreasing production costs and significantly increasing output rate (with defect rates to below 12 per million, and output has increased 8.5 times. - Forbes). These changes mean that some of the increased costs of modern cars have been reduced, but the consumer will always want the best value for money and it is up to car dealers to make sure they straddle a fine line between offering cars that are technologically up-to-date whilst not exceeding the consumer’s price range. As concerns about the environment continue to grow, so too do Government measures to reduce emissions and consumer’s demands for more economical, ecological transport means. Increasing congestion charges and taxes on high emission cars are seeing many cities becoming mainly reliant on public transport and decrease in car purchasing amongst millennials. In the U.S.A the cost of car maintenance and congestion has seen 5% drop in car licences amongst young people alone (McKinsey). To meet these concerns and costs, manufactures have increasingly looked towards making hybrid and electric vehicles to keep an industry reliant of fossil fuels as sustainable as possible. Hybrid cars have been a huge success in the last decade and, although getting off to a shaky start, electric cars are becoming more and more popular. In fact recently electric car conversation has increased significantly. Between 2010 and 2016, online conversation about electric cars has outpaced conversation rate of hybrids by nearly three to one and with the recent promise of Government investment in electric cars and charging stations, this trend is set to continue further. But what does this mean for car dealerships? Does this mean their existing hybrid and normal cars will go out of fashion? The answer to this is simply no. As eco-friendly and attractive as the electric car may seem, there is still quite a bit of uncertainty surrounding just ‘how’ eco-friendly they are (most charge points are powered by burning fossil fuels) and whether the current Government is really dedicated to the investment they have promised to make. The lesson to be learnt here is for car dealerships to keep in mind the potential for electric cars’ popularity to kick off and extol the benefits of the hybrids they already have. Whilst the average consumer is still far more concerned about the environment than they were a decade ago, the price of buying and fuelling an electric car often puts many off purchasing one which presents an ideal opportunity for dealerships to market hybrids to customers as a cost-effective alternative in the online environment. The costs of congestion charges and running a car have also sparked a couple of new phenomena that dealerships have to contend with in order to sell cars online. Car sharing and increasingly innovated public transport systems are seeing car purchases decrease, especially in urban areas. By 2030 it has been predicted that one out of ten cars sold will be potentially a shared vehicle which, if this is the case, will significantly reduce the number of cars being bought. To meet these trends, and the costs of running a car, many dealerships and manufacturers are now offering monthly subscriptions and payments for cars. One of the most popular and effective of the subscriptions has been that of Volvo with insurance, maintenance and service all included in the price however there are other brands and even services, such as Wagonex, who are leasing cars to consumers via subscription. Whilst not as flexible as the monthly subscription, the monthly payment (PCP) for cars has become one of the more popular methods for car purchasing in recent years. About 80% of new cars in the UK are sold on PCP today and this is trend which is set to increase further. The benefits of the monthly subscription or payment for customers include a payment which is all inclusive and does not seem as financially scary as buying a car upfront and in one go. This means that consumers are more likely to be attracted to this kind of purchase however perhaps more so for new cars rather than used ones. 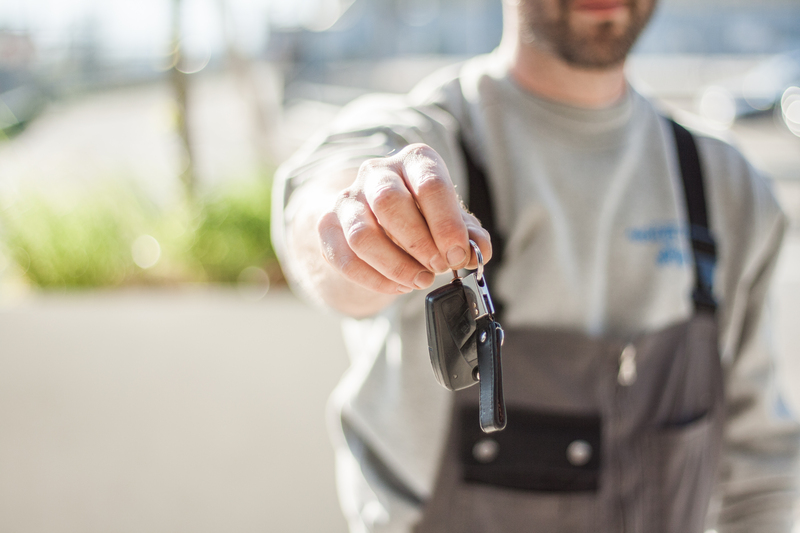 Businesses looking for company cars to lease however are less likely to be influenced by the novelty of the car and provide an ideal form of consumer in terms of the monthly payment or subscription. So, if dealerships are looking to attract more customers online, then perhaps innovating via a monthly subscription or payment along these lines may be the way to boost sales and certainly a means to getting their services and products noticed. Searching for cars online, increased customisation and expanding purchasing options in the form of subscriptions and monthly payments are not the only trends in car buying which are increasing. Some manufacturers, such as Mitsubishi, actually allow you to buy and order cars strait to your door, a feature that completely removes the dealership from the equation. If this becomes more popular amongst car manufacturers then this may seem like the end of car dealerships, online or physical. A more common trend than the direct online car order is the online deposit, something that has been used by Tesla to increase awareness and sales of their cars. Again this means that the dealership is taken out of the equation of the car buying process and may see buying straight from the manufacturer become an increasingly popular option on the online market. However this competition can be remedied by offering manufacturers a platform from which to spring from and get there services seen and sold. Rather than working against the manufacturers, dealerships should create partnerships and deals with them to offer them the best sales as well as the best customer experience. Other options such as offering some additional services/promotions alongside the deal may also to attract more customers and increase dealership sales as well as keeping manufacturers interested in using dealership services to launch their products. So what are the key elements that need to be taken away from this report? Admittedly there is a lot to take in and a lot to deal with in the coming years as technology, Government policy, environmental concerns and customer buying habits continue to evolve and change at a rapid pace. Perhaps this is the most important message to take away from the information above: the world, both online and offline, is changing quickly on a daily basis and if businesses want to compete and contend then they need to adapt. With an industry as competitive as the car industry this is particularly the case. Taking advantage of the current trends and changes is vital for dealership survivability, let alone prosperity, and it will be those dealerships that implement the farthest reaching changes the most quickly, whilst keeping an eye on the future, which will excel online. • Monitoring and utilising all elements of the online world and engaging with customers via all mediums, not just on the forecourt and your webpage. Social media and video services are key to this engagement as well as stand-out and/or interactive advertising on these platforms. • Working with manufacturer’s to increase customer satisfaction and customisation. Manufacturers are increasingly ‘cutting out the middle man’ with the internet so make sure your dealership and the services it offers are invaluable to them and their customers by offering additional benefits to both. This can be implemented via subscriptions, PCPs, deposits, online deliveries and expanded customisation options for customers. • Keep an eye on the latest technology and use it. If you see something becoming increasingly popular on your social media pages or being implemented in new cars, don’t ignore it. Make sure your dealership can provide customers with the latest technology for their cars and have access to manufacturer’s latest innovations. • Be aware of electric cars but keep hybrids selling. Whilst electric cars are still a novelty to many, their popularity is starting to expand and encroach on the hybrid’s. Monitor electric car chatter, usage and costs as well as Government policies aimed at getting them on the roads. If something radical occurs, like a grant scheme or a sudden upsurge of charge points across the country, take advantage of it and invest in electric cars. In the meantime, extol the benefits of your existing hybrid cars as cost-effective, easy to use alternatives to both standard and electric cars. By making themselves aware of online trends and those elsewhere in the automotive industry, dealerships cannot only ensure success and necessity in the future, but can also provide customers with a unique buying experience which eclipses any standard showroom or website. However, it is up to the dealerships to remain vigilant and make these changes where necessary as falling behind in our rapidly evolving world may not just spell disaster for a business but the end of it.